Tin đăng trong 'SAT' bởi admin, Cập nhật cuối: 14/02/2019. 500 Ways to achieve your highest score! We can help you succeed on your Reading and Writing sections of the SAT! That’s why we’ve selected these targeted 500 questions to help you study more effectively, and use your review time wisely to achieve your best score. These questions are similar to the ones you’ll find on the SAT, so you will know what to expect on test day. Each question includes a full explanation in the answer key. You can use these questions to supplement your overall preparation or run them all shortly before the test. 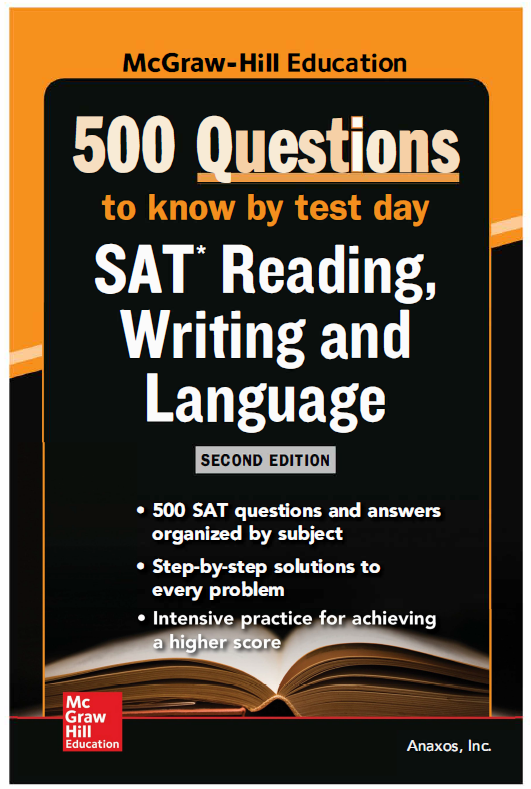 Either way, McGraw-Hill’s 500 SAT Reading and Writing Questions to Know by Test Day, 2nd Edition will help you achieve the score you want!